Last Updated: January 11, 2018 | Subscribe to our weekly newsletter! 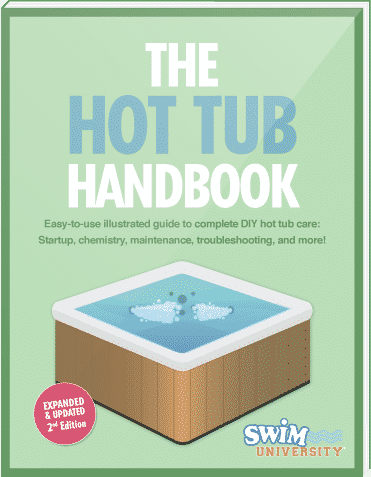 You’re good (or getting better) at maintaining your hot tub. But are you doing everything you can to keep yourself and your family from getting hot tub folliculitis, also known as the dreaded hot tub rash? Hot tubs are all about melting the stress away from your busy life. An itchy rash is the exact opposite of relaxation. Before you can prevent it, you need to understand what it is. And if you do find yourself dealing with it, you’ll need to know how to treat it and eradicate it from your hot tub so it doesn’t happen again. So get comfy and don’t eat while you’re reading this. Seriously. If you’ve had a home spa long enough, you’ve probably heard a warning or two concerning hot tub folliculitis, hot tub rash, or Pseudomonas Dermatitis. It’s a rash caused by soaking in contaminated water. You can get it from swimming in a pool or lake, but it’s most commonly contracted in hot tubs. Pseudomonas aeruginosa is the root of hot tub folliculitis. This tiny bacteria is actually ubiquitous in our everyday environment, and is often found in soil and water. Hot tubs are the perfect home for this bacteria. The water is warm and aerated, which helps P. aeruginosa grow. High levels of the bacteria can cause folliculitis as well as swimmer’s ear. If you soak for long periods of time in contaminated water, the bacteria gets trapped in your hair follicles (hence the folliculitis part of the name), similar to the way pimples are formed. This is the cause of the telltale rash. Bumpy red rashes and pustules around hair follicles are the most common signs of hot tub folliculitis. More severe symptoms include fever, upper respiratory tract complaints, and inflamed or tender breasts. Younger children and people with compromised immune systems are at higher risk. While those more severe symptoms may be rare, they make prevention all the more important. Your hot tub chemistry is the most important factor in keeping folliculitis at bay. As long as you have the correct amount of water sanitizer If you click this link and make a purchase, we earn a commission at no additional cost to you. in your hot tub, and the water’s pH is properly balanced, you shouldn’t have to worry about hot tub rash. your water has 2–4 parts per million (ppm) of free chlorine If you click this link and make a purchase, we earn a commission at no additional cost to you. or 4–6 ppm bromine If you click this link and make a purchase, we earn a commission at no additional cost to you. .
your water has a pH level ranging from 7.2 to 7.8.
you regularly test pH levels. You already know how to test your hot tub water. We recommend you test your water once or twice a week at home, and once a month, take a water sample to a local hot tub dealer for testing. If you’re using your hot tub more frequently than usual, or you have more people than usual using your hot tub, be sure to test your water If you click this link and make a purchase, we earn a commission at no additional cost to you. more often. A lack of hot tub sanitizing chemicals or a pH imbalance can allow P. aeruginosa to flourish. If your water chemistry is off, correct it as soon as possible. Aside from properly maintaining your hot tub chemistry, be sure to also practice common-sense hygiene when you’re done soaking. Shower with soap after getting out of the water, and pay special attention to the areas covered by your swimsuit. Those are the most common places rashes develop. Also wash your suit rather than just letting it air dry, and the sooner, the better. How Does pH Affect Folliculitis Development? 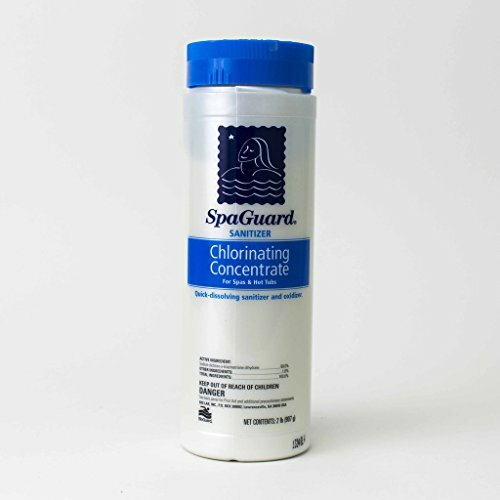 It makes sense that sanitizing chemicals are an important factor. But why does your pH balance matter? Simple—both high If you click this link and make a purchase, we earn a commission at no additional cost to you. and low If you click this link and make a purchase, we earn a commission at no additional cost to you. 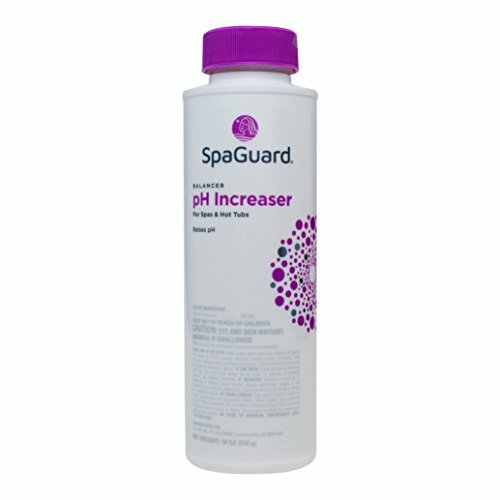 pH can make your water sanitizer less effective. 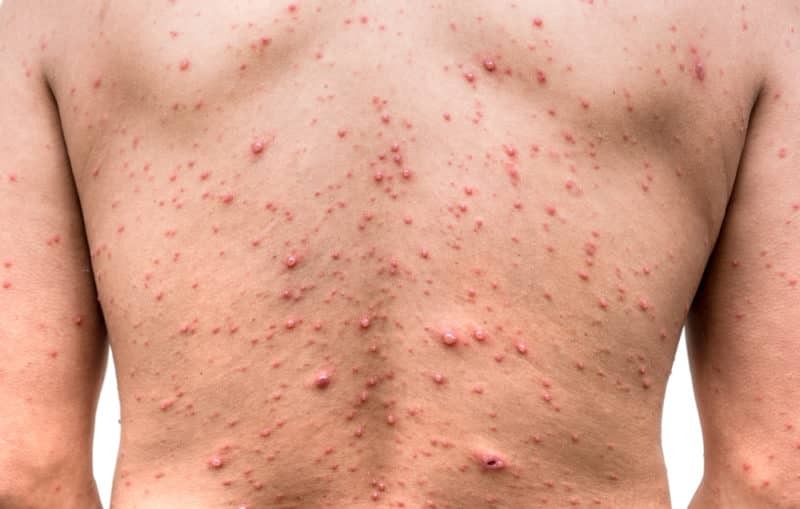 The first sure sign of folliculitis is a rash or series of bumps that look a lot like chicken pox. Some of the bumps may also have white heads. (Sorry this is gross, but you need to know.) You may also feel feverish or sore, but that’s only in rare cases. The rash tends to develop on the areas your swimsuit covers, but it can also appear on your arms, legs, and even your face. Symptoms of hot tub folliculitis can take up to five days to appear, so it’s even more important to take that shower post hot tubbing because once the symptoms appear, it’s too late. Maybe you slacked a little on your hot tub maintenance. It’s okay, it happens. If you or someone you know has hot tub folliculitis, just take a deep breath and do not scratch or break any pustules. Luckily—or unfortunately, if you’re really itchy—time is the best treatment. More good news: it’s not like poison ivy or chicken pox. You can’t infect someone else with hot tub folliculitis just by touching or being around them. The only way to get the rash is if you spend a long time in warm, contaminated water. Remember, you can speed up your healing by leaving the rash alone and staying out of the infected hot tub. The itching is the worst part of hot tub folliculitis. If you’re looking for relief, you have a few self-care techniques available to you. Avoid scratching. It may give you some immediate relief, but it will usually make the itching worse and make you vulnerable to further and prolonged infection. This could also lead to scarring. Don’t shave the infected area. The hair follicles may be infected, but shaving the hair will not help. In fact, it’ll just aggravate the condition. If the rash is on your scalp or beard, use a shampoo that contains selenium or propylene glycol. It won’t clear up the rash, but it can provide some relief. Prepare a warm compress using a clean washcloth soaked in warm water, white vinegar If you click this link and make a purchase, we earn a commission at no additional cost to you. 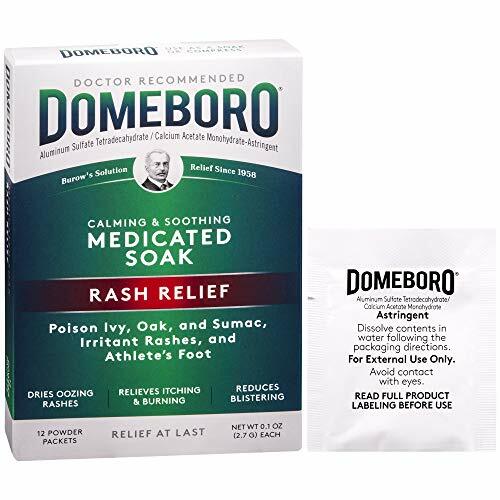 , or an anti-itch solution If you click this link and make a purchase, we earn a commission at no additional cost to you. . Press the compress against the rash for ten minutes at a time, three to six times daily. Make sure to use a clean washcloth every time. Note: You can find anti-itch solutions as over-the-counter drugs sold under a variety of brand names. The active ingredients you need are aluminum sulfate and calcium acetate If you click this link and make a purchase, we earn a commission at no additional cost to you. , so just look for them on the package. The rash usually goes away on its own after two to seven days. If it’s still there after a week, make an appointment with your doctor. In rare cases, a doctor may prescribe antibacterial ointments or antibiotics to treat hot tub folliculitis. If your hot tub is the source of a case of hot tub rash, stop using it immediately. This will prevent anyone else from becoming infected, and will allow your own case (if you have it) to heal more quickly. 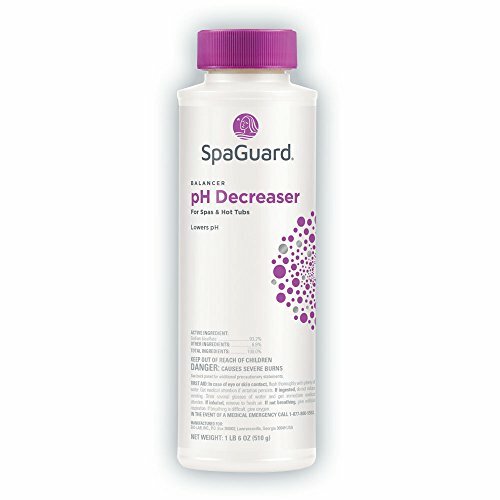 A simple adjustment of sanitizing chemicals and pH levels is not enough to clear your water of the contamination. P. aeruginosa is a hardy bacteria, and can survive in your filters and pipes. That means it’s time to drain and clean your hot tub. Add a line flush product If you click this link and make a purchase, we earn a commission at no additional cost to you. to the water and circulate for the product’s recommended time—between 20 minutes and 4 hours. Disconnect the power to your hot tub and trip the breaker to be safe. Running your hot tub without water can damage your pumps and heater. Remove your filters from the filter well and discard. Simply cleaning the filters, even with a chemical soak, won’t be enough if your hot tub is contaminated. Get new ones. Drain your hot tub using a sump pump If you click this link and make a purchase, we earn a commission at no additional cost to you. or the drain plug. Once the water is removed, thoroughly wipe down the interior surfaces with a diluted bleach If you click this link and make a purchase, we earn a commission at no additional cost to you. solution—1/2 cup of bleach in 1 gallon of water. A hot tub cleaner (unless it’s antibacterial) or a white vinegar solution won’t be enough to sanitize the shell. Spray down the shell with water and wipe clean. Do not leave any cleaning solution behind. It can affect your water chemistry. Refill your hot tub with fresh water. We recommend using a hose filter If you click this link and make a purchase, we earn a commission at no additional cost to you. to prevent copper, iron, and calcium from getting into your tub. Or you can put the garden hose into your filter well. Turn the power back on, and start your hot tub. Test your water If you click this link and make a purchase, we earn a commission at no additional cost to you. and adjust pH levels accordingly. Shock your hot tub If you click this link and make a purchase, we earn a commission at no additional cost to you. water and allow it to circulate. Set the temperature to 100°F to 104°F. Let your hot tub run for 24 hours. Retest your water and adjust chemicals as needed. Get back to enjoying your hot tub, worry free! Whew, that is a long list of to-dos! But it’ll be worth it to know that your hot tub is once again safe to use. Remember to test and maintain your water on a regular basis to prevent another contamination. Hot tub folliculitis is definitely something you need to be concerned about. But with proper water care, it (we hope!) shouldn’t be a problem for you.